There are more than 75 small and micro agencies across the government, and like many of the large, well known agencies, they face similar IT modernization challenges. These agencies that range from a few people to a few hundred employees face both advantages and disadvantages of being small or micro organizations. On one hand, many small agencies don’t necessarily have the money or people to do full scale IT modernization, forcing them to deal with legacy technology, which, of course, opens them up to cybersecurity risks. On the other hand, small agencies can move more quickly with fewer approvals and, let’s say, lawyers mucking up the processes. And even a little money can go a long way to move to the cloud or upgrade cyber defenses. One small agency CIO told me last year that his plan was to move to the cloud and stop spending on commodity technology. At the same time, small and micro agencies don’t necessarily have the support, or important oversight, from the Office of Management and Budget or Congress because they are not spending tens or hundreds of millions of dollars on IT projects. That also is both a benefit and a hindrance to IT modernization. Another small agency CIO said he was surprised after moving to a small agency from a large one because so many small or micro agencies fly below the radar when it comes to OMB policies and requirements. But like large agencies, small ones still have to be able to take advantage of the technologies like cloud and emerging ones like machine learning or robotics process automation to modernize their services and improve their cyber postures. We have about 60 percent of our infrastructure in the cloud and we now are actively working on the remaining 40 [percent]. The first piece in the cloud is when we moved all of our e-mail services to Office 365. The second major piece is when we moved our financial processing system to a software-as-a-service offering so that was a large IT mass that now sits over, in our case, Oracle managed cloud services. CIO, Export-Import Bank of the U.S.
One of the big pushes we’ve seen for small, medium and large agencies is ensuring when they are doing agreements there has been a built in schedule for training. As new advents of new services become available, especially for those clients who are operating in some sort of hybrid environment, it’s great to train everyone today. But what does that workforce look like in two years? As long as there is a continue process of being able to bring training in, being able to take advantage of new services and how that is incorporated into the curriculum is the key. One very good surprise that we had when we migrated to a new cloud provider is they had software-defined network implemented in their network. We moved one of our applications to the cloud and we did it so smoothly that no one noticed. Benjamin Bergersen is an IT executive and cloud security expert. As the first full-time CIO for the U.S. Trade and Development Agency, Mr. Bergersen transforms IT services for the Agency to utilize a hybrid strategy of shared services and cloud services for increased savings and efficiencies. Using IT accelerators and analytic IT systems, Mr. Bergersen supports the Agency’s important mission. Before joining USTDA Mr. Bergersen, served as the Information Security Officer for MAX.gov Cloud Shared Services Cloud at OMB. In this role, he oversaw the transformation of continuous monitoring and enterprise risk management across software development through to operations. This work led to Mr. Bergersen receiving the Government Information Security Leadership Award (GISLA) from (ISC)2 for best information security business process improvement. As the Chief Information Officer (CIO) for the Office of Inspector General (OIG) at the Department of Commerce, Mr. Bergersen provided collaborative nationwide services for mission security and assurance. This included developing technology services to accelerate and enhance the capabilities of special agents, auditors, and attorneys to perform investigations and audits across five operating locations. Mr. Bergersen received a Commerce Bronze medal and a GovTek Executive Collaboration award for his accomplishments in this role. As the Information Security Program Manager in the U.S. Antarctic Program for the U.S. Navy and the National Science Foundation (NSF), Mr. Bergersen earned A+ FISMA grades two years in a row for information security as rated by U.S. Congress. Benjamin created the Chief Information Security Officer (CISO) Executive Education and Graduate Certificate Program at Carnegie Mellon University's Heinz College, CIO Institute. 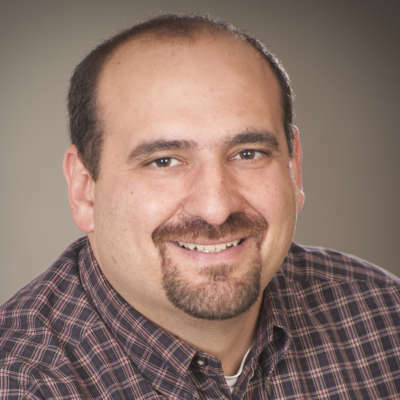 He holds multiple cyber security and governance certifications including CISSP, ISSAP, and ISSMP from (ISC)2; and CGEIT, CISA, and CISM from ISACA. His education includes an MBA from George Mason University, a Bachelor’s of Science from SUNY Brockport, and is a certified CIO by the U.S. Federal CIO Council / CIO University. Bill Rowan is Vice President of Federal Sales for VMware's U.S. Public Sector organization. He leads a team of more than 175 sales, engineering, advisory and implementation services professionals who help Federal organizations meet their unique requirements with the application of virtualization, mobility and cloud technology. Prior to this role, Bill was the Vice President of Sales for VMware's U.S. Department of Defense and Intelligence Community teams. Mr. Rowan has more than 30 years of experience serving as a trusted advisor to the Federal government customers, Federal Valued Added Resellers and Systems Integrator organizations. Prior to VMware, he was the Department of Defense Area Manager at EMC, and held senior management positions at Storage Technology Corporation, MicroStrategy and IBM. Bill has served as speaker at various government industry forums and panels. He holds an MBA from Averett University and a BS in Finance from Fairfield University. He and his wife Kristin reside in Kensington, Maryland with their two daughters.